Home » News & Press » Carbonkiller buys out the bubble! Carbonkiller buys out the bubble! Carbonkiller is an initiative by the Dutch environmental organisation WISE that allows anyone to buy and destroy emission permits from the massively oversupplied European carbon market with the aim to raise the price and to increase public engagement in one of Europe’s key climate tools. The EU’s Emissions Trading System (EU ETS) is Europe’s key instrument to bring down greenhouse gas emissions in the power and industry sector. However, it is also a very complex system that to date suffers from an oversupply of pollution permits which has led to very low prices. Politicians have been timid to make any meaningful changes to the system, faced on the one hand with strong lobby of big polluters, who have the financial and human capacity to influence policy developments and on the other hand with low involvement of citizens and environmental organisations. Due to the limited engagement of civil society, and the public in general, in developing the EU’s main climate instrument, the broader societal benefits of carbon pricing have not been sufficiently taken into account. 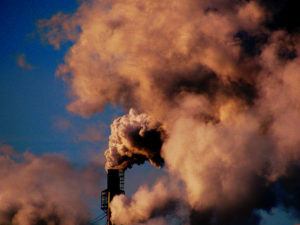 Carbonkiller wants to change this, by raising awareness and enabling people to get directly involved in the EU’s carbon pricing mechanism so as to provide a counterweight to the big industry lobby. To date, 2676 carbon killers have taken 10200 tonnes worth of CO2 permits out of the market. What needs to happen for Europe’s carbon market to deliver? Emissions from European manufacturing sector have barely gone down over the past few years, and projections show that they are not expected to decline up to 2030. Furthermore, due to the over generous handouts of free pollution permits, the biggest polluters have been able to make profits from the system to the tunes of billions. In order for the EU ETS to work as it should, the amount of emission permits that is annually put on the market needs to decline faster than currently is the case. The price of pollution permits needs to go up: Although the price has lately risen above 10 Euros for the first time since 2011, it is still barely a third of what is needed to reach the Paris climate goals. Furthermore, we need to stop giving away permits for free to industry. Auctioning is the simplest, fairest and most transparent way to allocate permits, reflecting the polluter pays principle, which is at the core of the EU ETS. It would also level the playing field with smaller, innovative companies who currently struggle to get access to market dominated by the biggest players. Carbonkiller provides a platform for climate-conscious citizens to take political or direct action in the EU ETS, and thus increases pressure on decision makers to put a meaningful price on pollution and adopt the above solutions. By raising our voice and calling on politicians to make polluting more expensive, we can provide a counterweight to the interests of heavy emitters who have systematically tried to undermine the EU ETS.